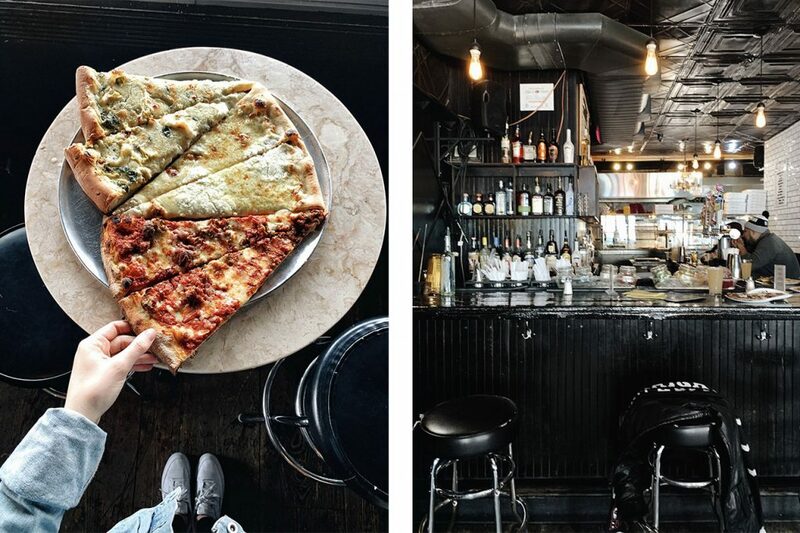 What’s a trip to New York City without eating great pizza? There’s no shortage of spots to get your fix. 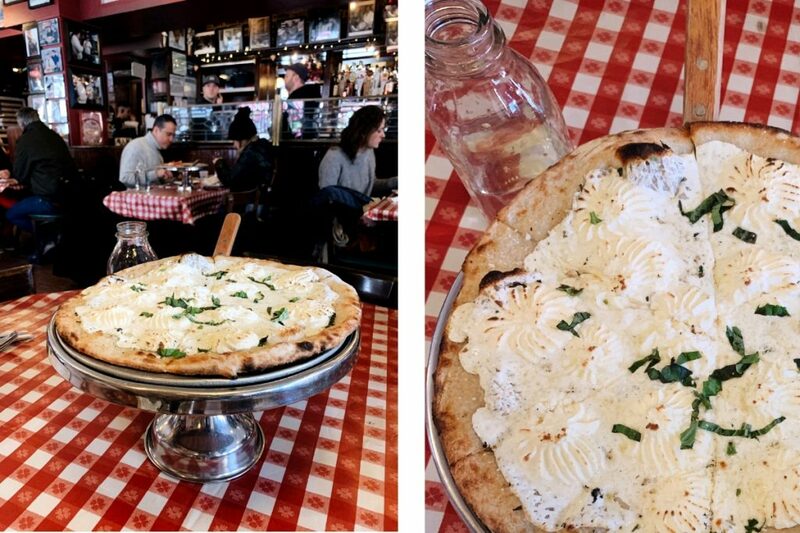 New York style pizza is traditionally hand-tossed with a light layer of tomato sauce then topped with grated mozzarella, but pizzerias are branching out and offering their own take on a variety of pies. 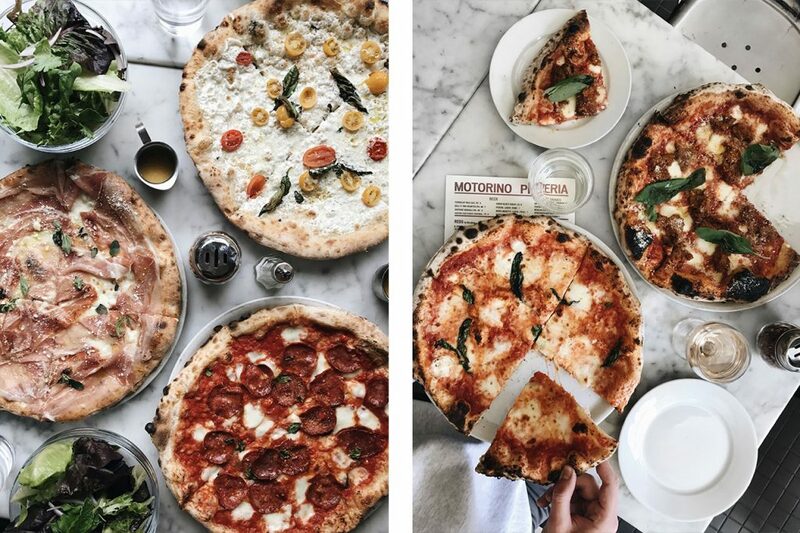 Here are some of the best places to grab a slice in the city. Located in the heart of Little Italy in Lower Manhattan, Lombardi’s is famous for being the first pizzeria to open in the United States when it was founded in 1905. They offer delicious coal oven baked pizza, which is topped with fresh mozzarella, basil, and San Marzano tomato sauce. These simple, consistent ingredients keep New Yorkers (and visitors) coming back time and time again. 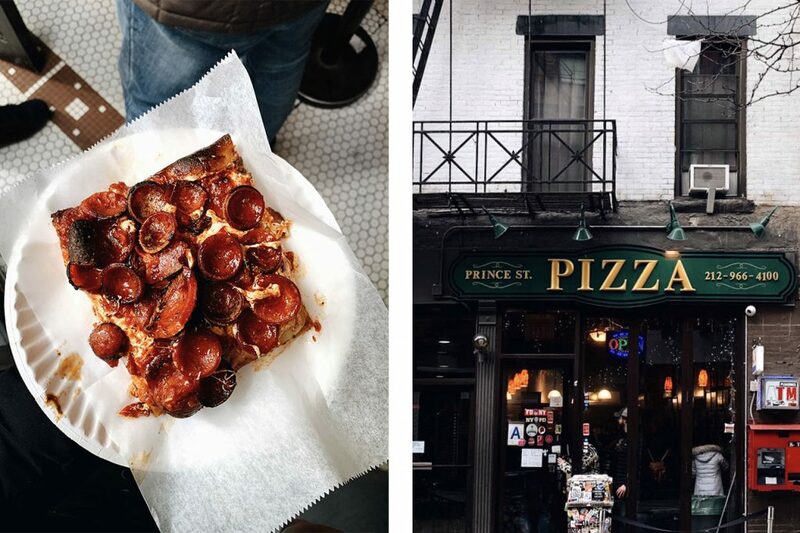 Prince Street Pizza is a staple in the buzzing neighbourhood of Nolita (which stands for North of Little Italy). 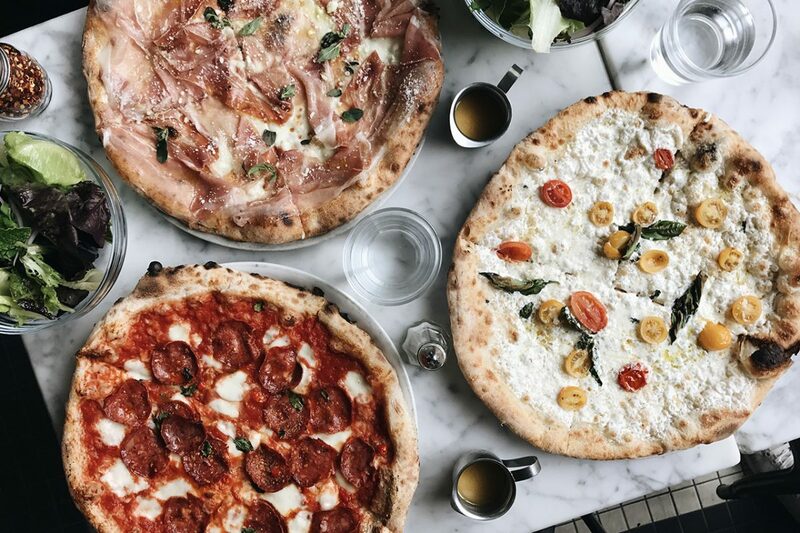 Serving up square slices and full pies, their pizzas are named after different streets in SoHo: Mercer Margherita, Broadway Breadcrumb, and Prince Perfection Pie. There are only a few counters and no seating, so eat your slice standing up or grab it to go – but make sure to check out the walls adorned with photos of employees posing with celebrities who have stopped by. 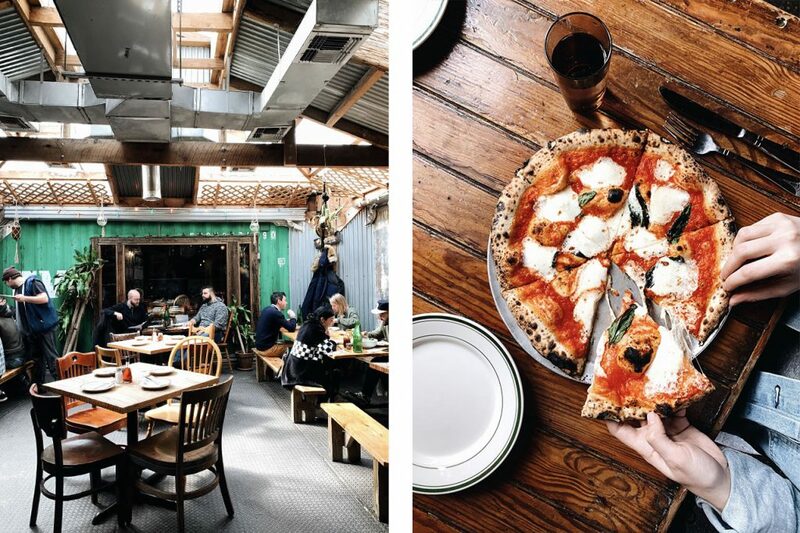 Roberta’s is nestled in the trendy neighborhood of Bushwick, Brooklyn. A testament to its popularity, this pizzeria went from occupying a single building to taking up an entire block! Their outdoor garden space is perfect for dining al fresco during the warmer months. Inside you’ll find long, communal tables where you can enjoy a meal with friends. People go out of their way to visit Roberta’s for their Bee Sting Pizza – the addition of honey gives it the perfect sweet and savoury balance. This unassuming little pizzeria sits in the East Village (with larger locations in Williamsburg and on the Upper West Side) and serves personal pies. Make sure you take advantage of their lunch special, which includes a salad and a glass of wine. They serve both red and white pizzas, and their meatballs are incredible. It’s typically easy to get a seat, so relax and enjoy. As you might guess, Artichoke Basille is famous for their Artichoke Pizza, which is topped with artichokes, a variety of cheeses and cream sauce. It’s worth waiting in the line you’ll inevitably encounter outside each of its locations across the city – if you happen upon one of their shops and have the time, give this unique pizza a try.